Get insight into where you’re losing time and money with an approach to spend management that’s helped thousands of other businesses. 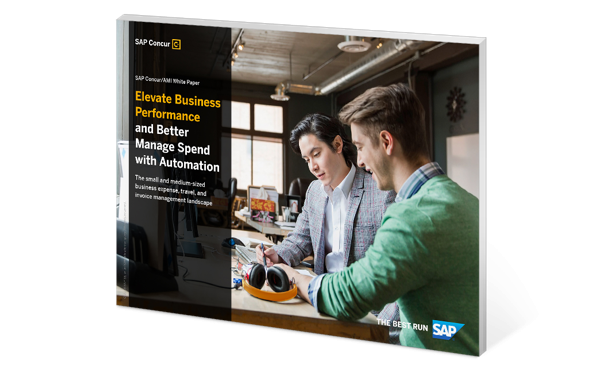 Leverage connected solutions to see and control where every dollar is spent and empower budget owners with insights to drive better business decisions. 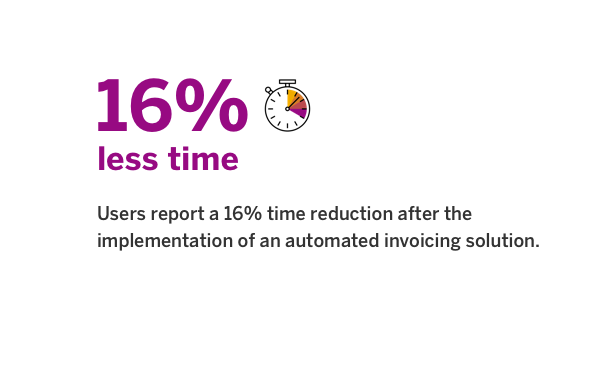 Automate massive workloads, connect your ERP, HR, and accounting systems, and get accurate data with simple, time-saving solutions. Unlock rich insights and empower business growth while identifying risks and compliance vulnerabilities. 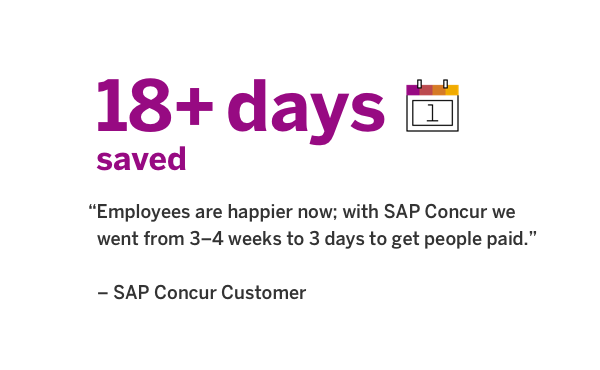 At SAP Concur, we’re helping improve people’s lives by helping the best-run businesses make the world run better. Discover how we’re unlocking the full potential of connected cloud solutions to accelerate the success of our customers. Go further with extended products from SAP Concur, the leader in small business software. Gain control over driving expenses with new automatic distance capture. Is your business keeping up with Canadian automation trends? 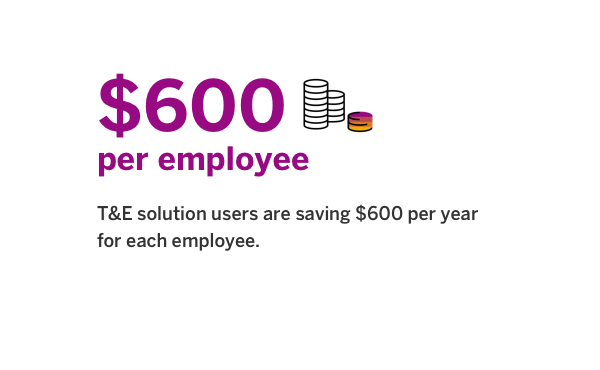 Learn more about the benefits your business could realize.